Brian Byrne, the co-owner of the Son of a Gun Tattoo and Barbershop where Justin Bieber got inked back in March, said the Biebs is just as dreamy in person as any screaming fan would expect. 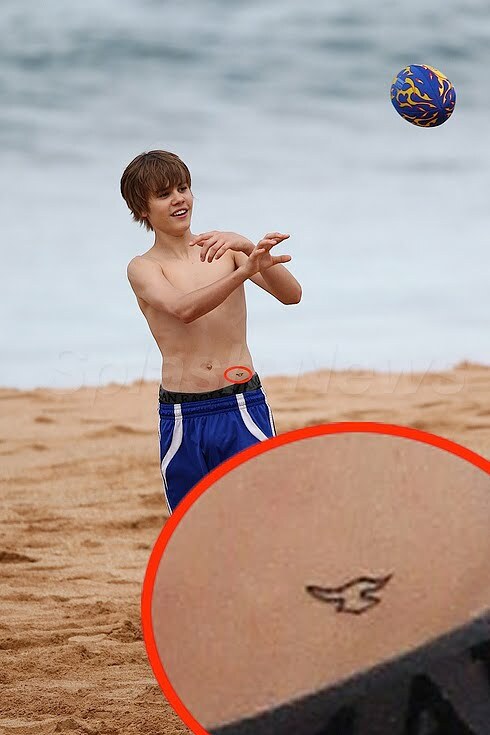 Byrne also revealed at that the star's Jonathan Livingston Seagull tattoo has special meaning for Bieber. "From what I can gather, I guess a bunch of people in his family actually have that same tattoo, his dad included," Byrne said. Bieber's dad accompanied the 16-year-old heartthrob as he got his body art.